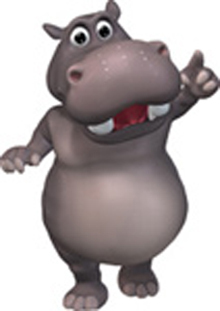 Hippo is still a leader in comparative insurance quotes. When Hippo came onto the scene many cheered the new way to get the best cover for their needs. Little did they know that the company only offered quotes from companies tied in with Telesure. Many people soon came to realise this. However, in 2009 Hippo started offering quotes from other insurers. CEO Derek Wilson admits that changing people’s Telesure perception was difficult. Even after including opposition firms in its advertising. The firm has gone on to enlist many short-term insurers to show potential customers that they have no bias. But the public is not convinced. Authorities also have problems believing they have been acting in the best interests of its clients. Two years back the Financial Services Board (FSB) slapped them with a one and a half million Rand fine. This was for not giving clients a complete list of quotes. Instead, they referred potential clients to the cheapest available option. The FSB felt that in doing so, they were only generating a higher business volume for itself instead of meeting the needs of their clients. Now Hippo diversifies by trying to improve its public perception. They offer more options by adding more providers. Like First for Women, Dial Direct, Auto & General and other Telesure brands. They also offer potential clients a choice of quotes from short-term insurers. Such as Regent and Hollard, Ace, Oakhurst and Standard Bank. And in its quest to expand, Hippo approached iWYZE, OUTsurance and MiWay. But they refused to sign up. Besides short-term insurance quotes, you can get life and medical insurance quotes from Hippo as well. At least 12 of the major health schemes are on the service. When you get a quote from them, it may not be entirely accurate. Once the insurer themselves get more details from you, the price might go up or down. This depends on how they assess your level of risk. You can get a quote based on your budget using the ITC method which runs a credit check before selecting quotes. This and other services are what Hippo makes available to its 110,000 visitors every month. The figure represents about a 40% increase in traffic to their site from last year. Of locals who use their services, close to 70% are men aged between 25 and 35%. Hippo is intent on increasing its reach and lowering the cost of insurance. It hopes to achieve this by increasing the number of partners it has besides Telesure. It also wants to vary its portfolio and offer price comparison between banking products. This will give it an edge over competitors such as InsuranceHound.co.za.